Wishing to spread throughout the world the fashion that we love and to have many people to enjoy being fashionable, we established our company in 2007. Ever since have been engaged in internet mail order business.We attribute our growth and the support from many customers to our untiring efforts to express on the PC screen the dedication and the passion with each item of our fashion was created, paying attention to the requirements of marketing it on the internet on which the customers cannot feel it with their hands. We also attribute our success to the speed and the courtesy with which we respond to our customers' orders. 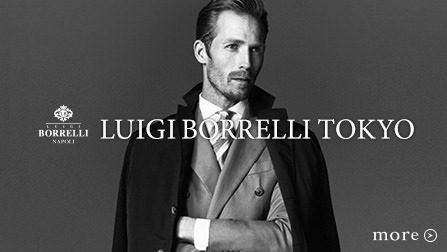 In 2013, we formed a partnership with LUIGI BORRELLI, an Italian shirt brand and opened the LUIGI BORRELLI TOKYO Store, its only retail store in Japan.We wish to continue to be the company that thrills our customers with the superb items that we find with our special sensibility from all over the world. People spend half of their lives working.We therefore believe that work is something to be "enjoyed. "Enjoying through one's work leads to self-development.Our belief is that this in turn broadens one's horizons,making a person's life more meaningful.Our company shares the values of "enjoy work! enjoy life!! "while constantly making progress and embracing new challenges. The products we deal with are not those which are mass-fabricated, consumed and thrown away.Just as Japan has traditional costumes such as kimono or setta, Italy and U.K have shoes made in traditional methods which have not changed for over 100 years and shirts which are hand-sewn stitch by stitch by artisans. 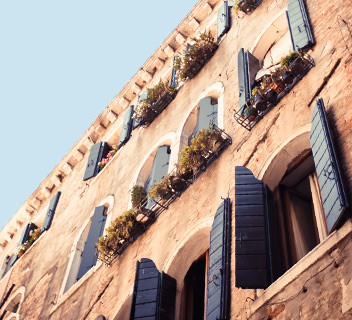 We believe that such items hold makers' will and enthusiasm and possess the power to give an impression and enrich one's life.It is our policy to find out and introduce items which we can see, touch, and which can inspire us from all over the world. 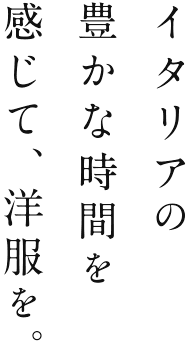 The Bank of Tokyo-Mitsubishi UFJ, Ltd.Resona Bank, Limited. 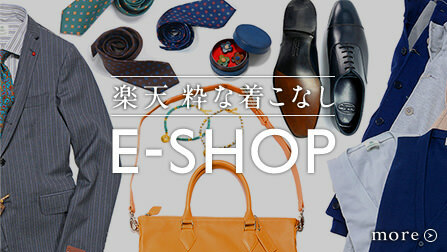 Retail of imported clothing and assorted goods oninternet and administration of the LUIGI BORRELLI Japan flagship store. Copyright© exio Inc. All Rights Reserved.